Hair loss is one of those things that many men experience as they age, one that can really be depressing when it comes to our overall appearance. The loss of hair is one of the first true signs of aging that most of us are aware of, because of how noticeable it can be. Although hair loss has strong ties to our genetics, there are things we can do to delay this loss of hair, or even in some cases prevent it from happening at all. Just like in the case of our overall health, the health of our hair is largely dependent on our diet. Naturally this is the first place where we should look to make changes in order to better our health, so why not our hair? Zinc has been used for a while now in the treatment of premature hair loss. This is because of the role zinc plays in the health of the hair follicles themselves, in their recovery and growth. In addition to this, studies show that people who suffer from various types of hair loss including male pattern baldness, and alopecia all tend to be deficient in zinc, further linking these two together. The key here is that we are looking for a supplement rich in healthy omega 3 fats, which play an important role in hair and skin health. Omega 3 fats help to both thicken the hair, while also reducing inflammation of the scalp. 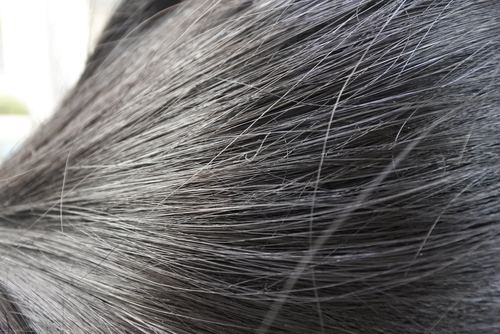 Inflammation is another major cause of hair loss, as the follicles can fall out as a result. Fish or krill oil supplements are great sources of omega 3 fatty acids, as are other foods found within our diet. Fatty fish along with chia seeds, flaxseeds, whole eggs, and walnuts are all excellent food sources for these beneficial fatty acids as well. Vitamin D is one we usually think of when it comes to maintaining the health of our bones through the better absorption of calcium. While this is true, vitamin D plays other important roles throughout the body, such as in hormone regulation. The disruption of hormone production causes many issues within the body, including immune regulation and the control of cell growth. These two are relevant to hair loss in that some forms of hair loss are believed to be caused by immune responses, which again vitamin D can help regulate. The best source of vitamin D we have available to us is the sun, however most of us simply do not get enough exposure every day. There aren’t too many foods rich in vitamin D either, making supplementation a very good option here. Another major cause of hair loss, skin aging and aging in general is something called oxidative stress. This is basically the result of reactions that occur within the body due to everything from environmental factors to our diet. These nasty chemicals called free radicals are produced within the body as a result, and are the cause of hair loss among other things. Vitamin C can help us here because it is one of the most powerful anti-oxidants we have available to us-anti-oxidants which help to neutralize harmful free radicals. These anti-oxidants will help to better protect our cells including hair follicles, making for healthier, fuller looking hair. 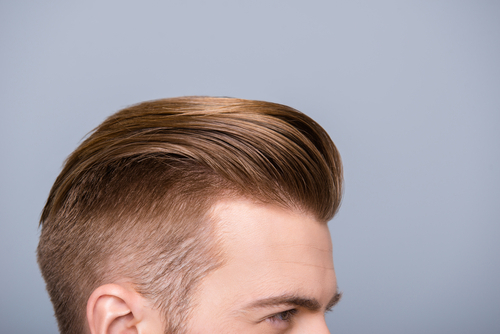 If you are already noticing that you are thinning up top, then the balding process has already begun. One of the most obvious answers to this problem is to stimulate hair growth to regrow this lost hair, which can be accomplished with vitamin B5. Vitamin B5 is able to do this because it is involved with the regulation of the adrenal gland, which in turn is responsible for the secretion and circulation of many different hormones throughout the body. A Supplement of vitamin B5 is recommended to those suffering from hair loss for the aforementioned reasons. Food sources like beef, whole eggs, chicken, peas, beans and potatoes for example are other ways in which you can get all the vitamin B5 that your body needs. The big takeaway here is that the health of your hair is highly dependent on your diet, and the nutrients that you are providing it with. Supplements and good sources of healthy fats are your best options here, in both will provide you with what you need to slow down the balding process.